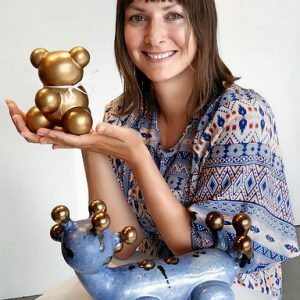 Since graduating from Alberta College and design in 2004, Cathy Terepocki has been developing her career as a ceramic artist. She currently has several lines of functional dishes and jewellery sold at shops and galleries throughout Canada and the United States. The work has been featured in books, blogs, magazines and newspapers, including Galleries West, Western Living, Uppercase, the Globe and Mail and Canadian House and Home. In 2016 she was awarded Designer of the Year in the Maker category by Western Living Magazine. In conjunction with production practice, Cathy has had the opportunity to do product design. In Spring 2018 several collections of her designs were launched in Anthropologie stores across North America. 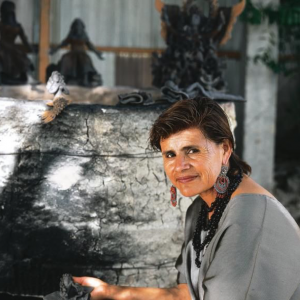 Cathy has also developed a portfolio of one-of-a-kind art pieces and conceptual ceramic projects for which several grants have been awarded. Cathy had had the opportunity to share the joys of working with clay and has taught ceramic printing classes at art centres and post-secondary institutions as well as clay classes for kids and adults in her community. Cathy lives in Yarrow, BC with her husband and 3 children. From a young age I developed an appreciation for materials, an awareness of how things were put together and where things came from. 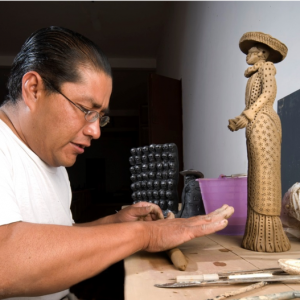 I grew up around handmade objects in a culture where things were made from scratch. Materials were used in unconventional ways to create something new. Fences were mended, sweaters darned, old shirts and dressed made into quilts. 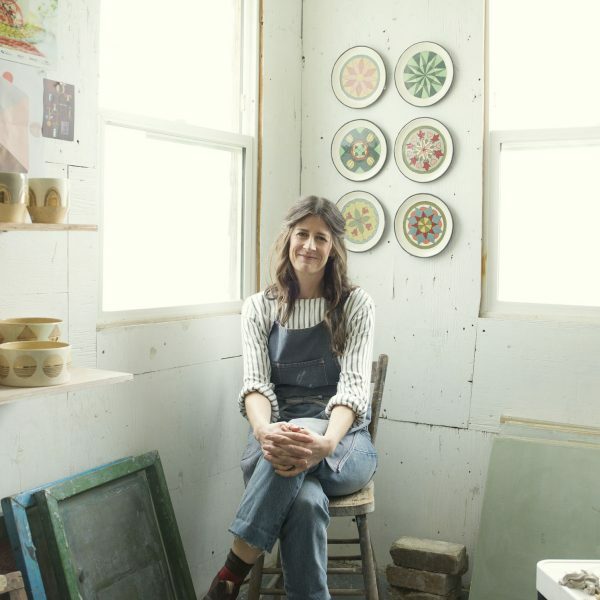 My interest in the historical craft traditions, material culture and the early influence of innovation is what influenced my decision to become a ceramic artist. Printed surfaces have been central to my ceramics practice, specifically pattern and imagery. Driven by innovation, I’m constantly researching and exploring new ways of approaching materials and ceramic processes to offer something familiar yet unexpected in the hopes of adding new meaning, texture and richness and providing another level of engagement with my pieces. Most recently I have been experimenting with clay from the Chilliwack River near my home and studio.